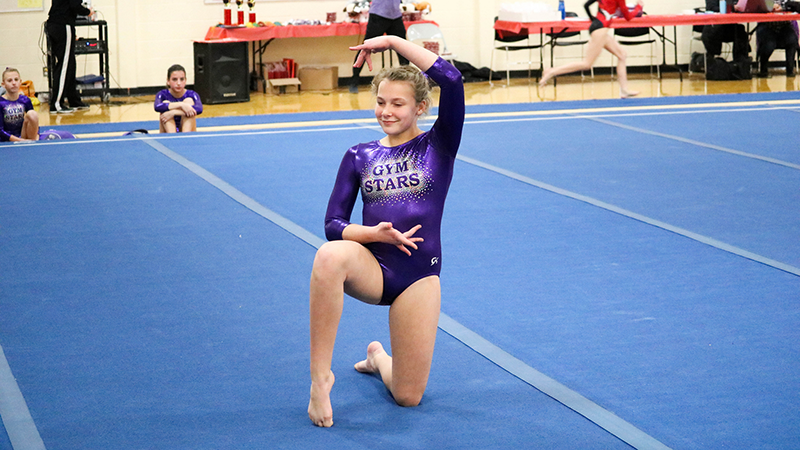 Gym Stars Gymnastics began in 1992 with the focus on recreation gymnastics. 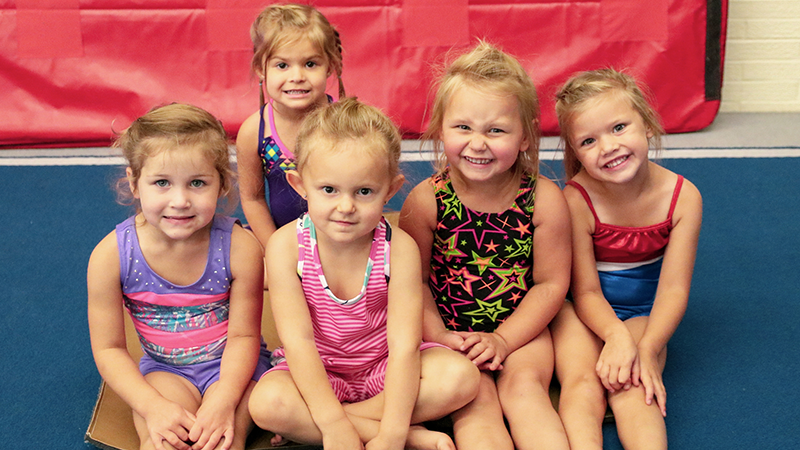 Our emphasis is on having fun and staying safe as you learn proper gymnastics skill progressions. We have experienced instructors with a caring attitude and genuine love for children. 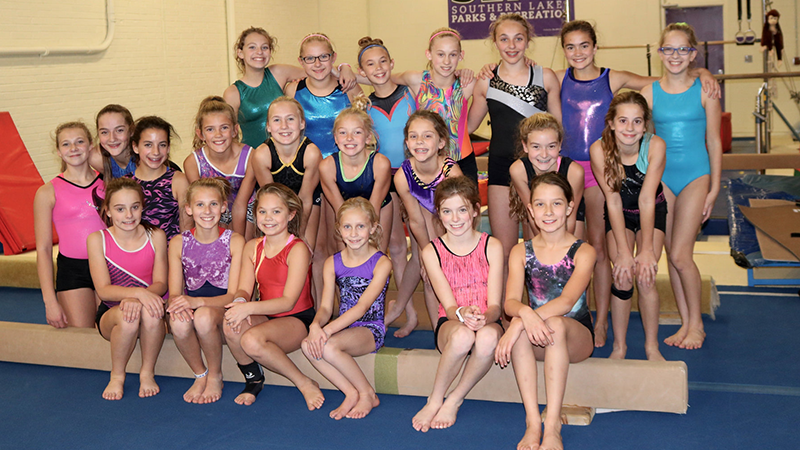 We are pleased with the growth that we continue to have and that we are the home to the Linden-Fenton-Lake Fenton Varsity gymnastic team. We truly offer classes for the preschooler through high school aged child. Our goal is to build coordination, strength, confidence, and self-esteem and treat every child as a STAR! All participants should come dressed for class. Leotards are preferred but shorts and a tight tee shirt are acceptable. Leotards are available for purchase in our pro shop. Long hair must be tied back. If you have questions or would like further information, contact the Gym Stars Gymnastics Director Nancy Holden at nholden@slpr.net. Gym phone 810-591-8198. 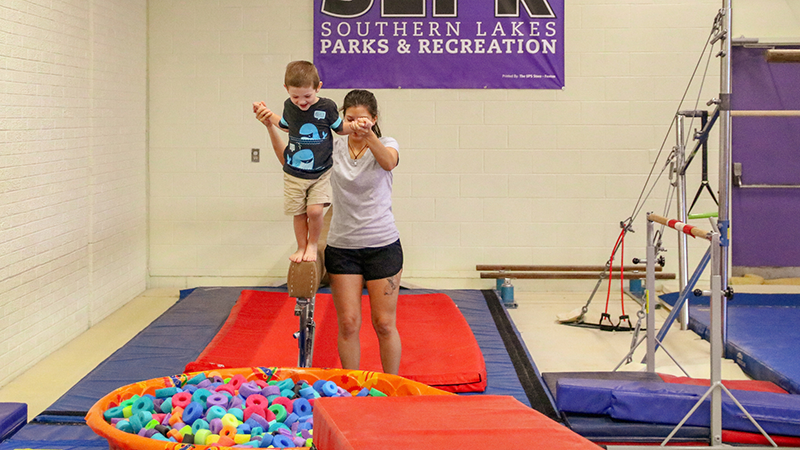 With the participation of a parent or caretaker the students will be exploring with music, color, jumping, swinging, and rolling, in a gymnastics setting. Develop motor skills using gymnastics activities and equipment. Parent Tot is recommended for children not ready to be independent from parent. 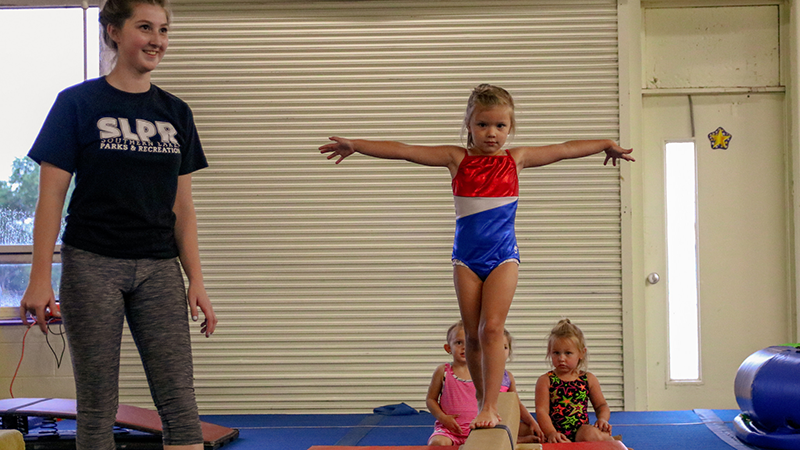 Basic gymnastics skills will be taught with age appropriate activities. Gymnastic positions, rolls, cartwheels, balancing, swinging and safety will be included. Students will work on rolls, cartwheels and handstands. An emphasis is placed on positions and safety. Students will work on skills to prepare them for the Rising Stars. Classes are designed for children six years or older. With the exception of our 5/6 year old Beginner class. 5/6 YEAR OLD BEGINNER – This class is for the young beginner. Age appropriate skills will be taught similar to the beginner class, but with special attention on the needs of the young elementary aged students. 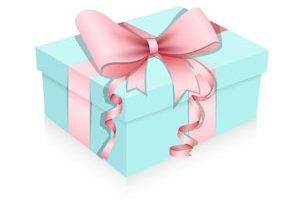 BEGINNER – This class is for students just moving up from our Twinkling Stars or with little or no gymnastics experience. Proper warm up, forward and backward rolls, cartwheels, bridge and skills on all apparatus will be taught. INTERMEDIATE – This class will introduce new skills. Front limbers, back kick over, handstand roll, and round off are the focus. Various skills must be mastered prior to advancing to the next class level. ADVANCED BEGINNER – Students will work to master skills taught in beginner. Forward and backward rolls along with cartwheels and back limbers will need to be mastered to advance to the intermediate class. ADVANCED INTERMEDIATE – Refinement of skills are stressed at this level. Students will learn back and front walkovers and are introduced to back and front handsprings. 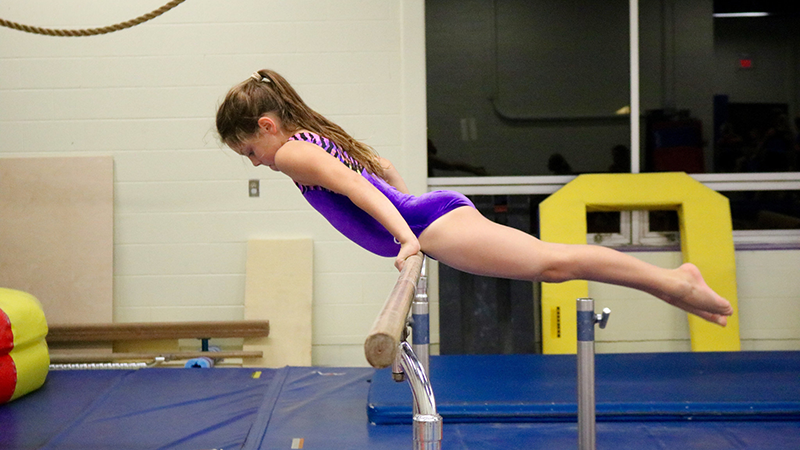 KIP CLINIC – This class is for the Competitive Team level gymnasts to spend focused time working on their kip. Equipment and drills will be incorporated to aid in mastering these skills in an hour long session. Must be pre-registered. Ages: 7–16. The Team program is for girls who have passed a more complex level of skills. The goal of the Team is to develop each gymnast to their fullest potential. PRE-TEAM – This class will train students in a more complex level of skills. 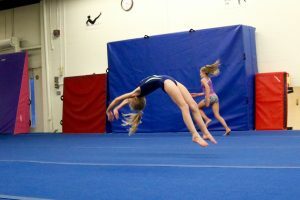 Conditioning and flexibility are incorporated to prepare for more advanced gymnastics. Must have a solid front and back walk-over to participate at this level. Front handspring and round off back handspring must be mastered for advancement from this level. COMPETITIVE TEAM – Tryouts are required at this level. Practices are twice a week to prepare for competition and develop skills. 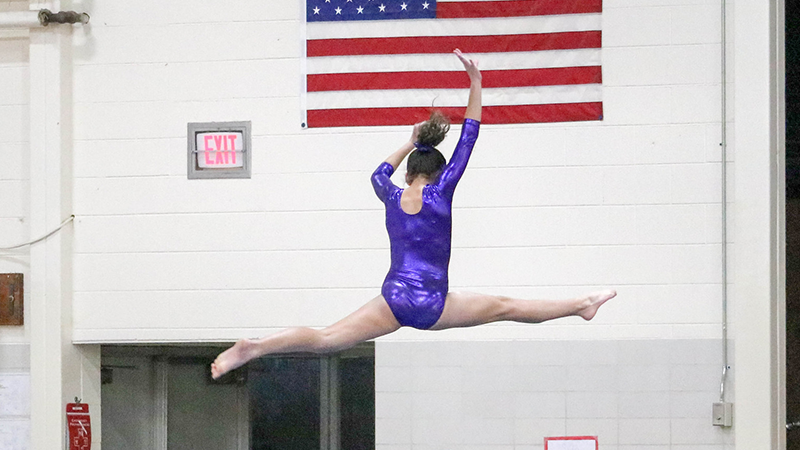 Routines are performed on each event to showcase gymnast’s individual strengths. 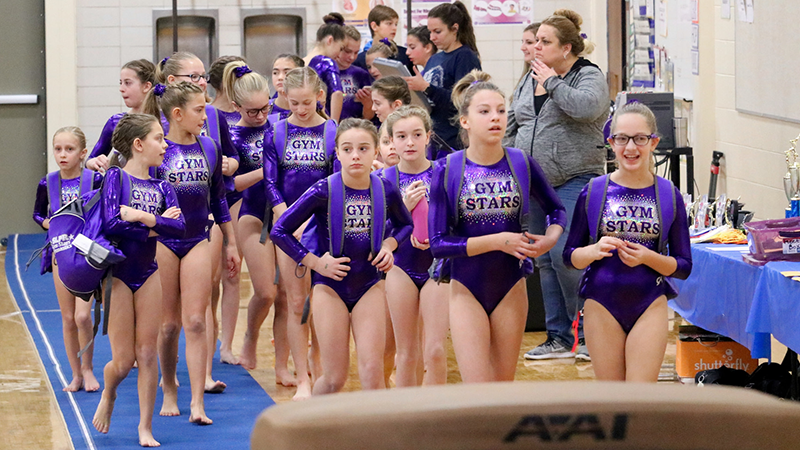 Students will compete with the Michigan Recreational Gymnastics League at meets throughout the year. 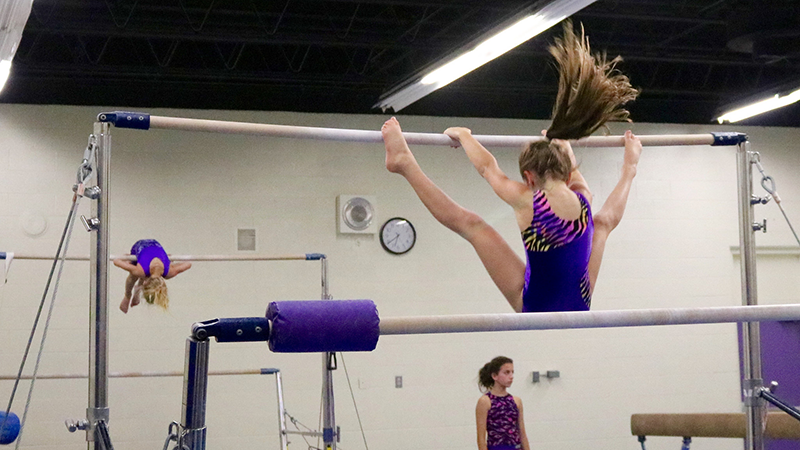 Southern Lakes Parks and Recreation Gym Star Gymnastics Programs Winter 2019: No class Jan 15, Jan. 31, Feb. 1, & 2. 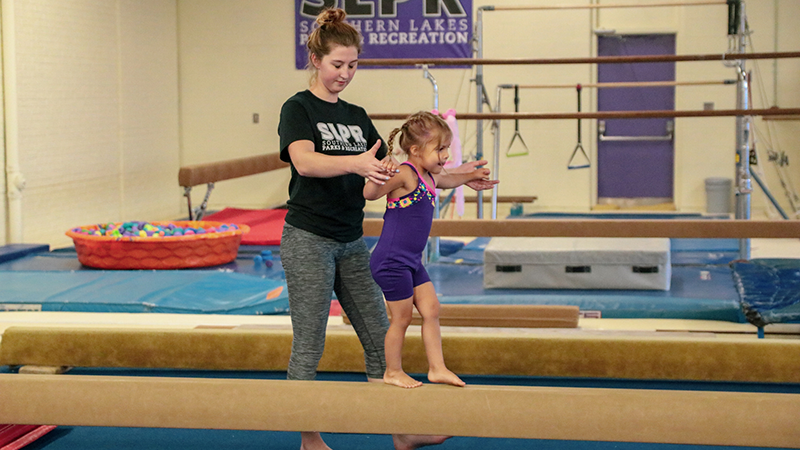 Southern Lakes Parks and Recreation Gym Star Gymnastics Programs Spring 2019: No class May 24, 25, & 27.